The majestic arrangement of purple orchids along with a pineapple cake is here to make your major occasions and festivals a rocking one. 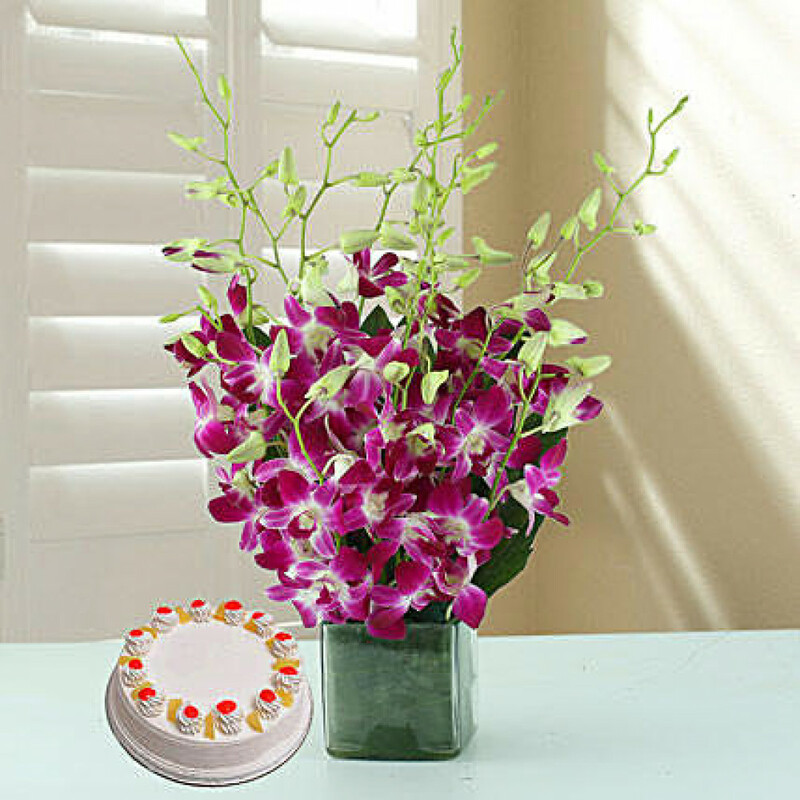 Get this thrilling combo of flowers and cake to the sweetest person and express your love. Get a bunch of 12 purple Orchid stems arranged magnificently in a classic glass vase with lots of seasonal fillers and express your thoughts along with the sweetness of a yummy half kg pineapple cake. Get this stunning and gorgeous bouquet which can make your loved one's day. Online Pune Florist brings this passionate bouquet for you to express your love in the most exotic way.